There are very few shows that can lay claim to a simple truth - they changed lives. 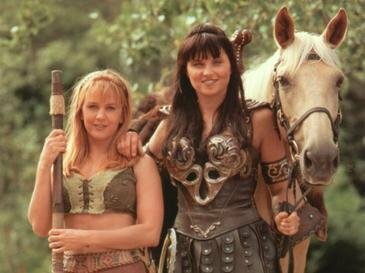 Xena Warrior Princess is that show that not only changed the lives of it's creators / actors but also the entire Xena fandom. 22 Year Ago a show that got spun off from Hercules went on to beat it and other shows like Baywatch and Star Trek: Deep Space Nine. 22 Years Ago...the fandom is GROWING and GROWING. We are not going away. 22 Years Ago..a legend was born. Happy Birthday Warrior Princess and her Bard Queen.